The Australian Brandenburg Orchestra Finds A Moment Of Truth In Handel’s Messiah | Daily Review: Film, stage and music reviews, interviews and more. Of the “greatest hits” of the classical repertoire, few rank as highly as Handel’s sacred masterpiece, Messiah. This grand, three-part oratorio, chronicling the prophecy of the promised saviour, the birth, life, crucifixion and resurrection of Jesus, and the foretold Second Coming, is one of the most frequently performed choral works from the Western classical music canon. Today it is as much an annual Christmas fixture for orchestras and choirs the world over as The Nutcracker is for virtually every ballet company. Its unfaltering popularity can be attributed to any number of anchor points, whether it be the majesty of its music, the beauty of its poetry, its standing as a treasured Yuletide tradition, or simply its sheer ubiquity – the opening bars of the famous Hallelujah chorus is surely one of the most immediately recognisable phrases ever composed. It’s said that upon completing the Hallelujah chorus, Handel was found by his assistant weeping tears of joy claiming to have seen “the very face of God”. However, the legend of Handel’s holy hotline is largely believed to be an invention of later admirers of the work in their efforts to big up its sacred credentials. In reality, Handel was no stranger to writing at a dizzying pace, routinely composing operas of comparable scale to Messiah in similar time frames. In fact, examination of the Messiah’s manuscript, now archived at the British Library in London, reveals Handel as a consummate pragmatist. 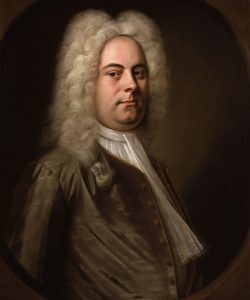 Like the vast majority of his contemporaries, Handel incorporated music from his already existing compositions in Messiah, and many of the instrumental specifics were left ambiguous in the working score, as was the convention at the time, which also greatly streamlined the compositional process. Handel tinkered with the work tirelessly for the rest of his life, and it is very likely that the piece as it was originally drafted, during those 24 (supposedly) spiritually enraptured days, was never performed in Handel’s lifetime. Another enduring and surprisingly contentious tradition is once again linked to the piece’s most famous movement, the Hallelujah chorus. Upon hearing the first gloriously ebullient bars at Messiah’s London premiere in 1743, King George II is purported to have spontaneously stood up, compelled by the music to acknowledge God as the King of Kings. As was the custom at the time, anyone in the presence of the King must follow suit if the monarch rises, and thus to this day, audiences stand during this iconic movement, although passive aggressive showdowns, usually via icy glares, still abound between proudly upright traditionalists and stubbornly seated secularists. However, the regal anecdote behind this audience participation has also been debunked by historians. Newspaper reports of the performance fail to note the presence of the King at all, let alone his infamous bum-off-seat moment. However, the legend of Handel’s holy hotline is largely believed to be an invention of later admirers of the work in their efforts to big up its sacred credentials. If busting the myths behind Messiah seems unnecessarily sour, the intention is not to detract but to refocus the understanding of this work’s true value. In addition to being an astonishing artistic and devotional achievement, it is also a fascinating anthropological artefact, revealing the social function of music at this time, the needs and drivers of artists from this period, the challenges they faced, and how those hurdles were overcome. It is easy to imagine the great artists of the past as lofty paragons, untouched by the humdrum mundanity of the everyday. In truth, Handel – like Mozart, Bach, Beethoven, Brahms and every other great musical mind before or since – was a professional artist who used his gifts to earn a living. As such, the way Handel’s work responded to social pressures holds lessons that still ring true today about the place of art in society. Messiah is an especially pertinent example, as it deals with a conflict between Handel’s creative desires and the commercial necessity to meet public interests. Handel was an ardent advocate of opera. However, during his lifetime the medium went through a period of flux, viewed by the pious as scandalising and by the bawdy lower classes as dull. Consequently, negotiating the public’s fluctuating enthusiasm for opera became a significant limiting factor in Handel’s creative life. While living in Rome in the early 1700s, opera had even been banned by Papal decree, but via oratorios – a mode of religious musical storytelling, not dissimilar to opera in many respects – Handel could continue to write music in service of an innate theatricality while simultaneously placating social niceties. Two decades later in Handel’s adopted home of London, as English-language ballad-operas emerged in the 1720s (The Beggar’s Opera, premiered in 1728, being the most notable example), interest in Handel’s beloved Italian opera waned, even being mocked for its continental pretensions. At great personal expense, Handel attempted to resuscitate the public’s interest, subsidising productions as box office revenues slumped. Despite this effort, and faced with untenable finances, the medium of the oratorio as a substitute for opera became increasingly important for Handel. However, even this had its struggles. Messiah’s London premiere, at the Covent Garden Theatre, was met with a decidedly cool reception by a public believing the subject matter too exalted to be presented on an unsanctified stage, performed by tawdry secular talents. Arguably, these historical facts don’t hold the same romance as the image of Handel as a divine vessel, humbling Kings and communing directly with The Almighty. But there is, nonetheless, a deeply endearing and touchingly human side of the composer illuminated by this history. As any artist working in Australia today can attest, being responsive to public interests, finding the mediums that deliver the greatest impact and being adaptive to unpredictable commercial realities while, somehow, preserving the essence of your art, is a vital skill set for any creative professional. Messiah deals with a conflict between Handel’s creative desires and the commercial necessity to meet public interests. And it’s not just the historical truth of Messiah that offers a valuable new perspective on this masterpiece. In recent years, inauthentic liberties with the work’s instrumentation, established by almost three centuries revisions and arrangements, have been addressed by period instrument performances. These allow us to experience with incredible fidelity the finer qualities of this music as a mid-18th-century audience would have first heard it. Australia’s flagship early music ensemble, the Australian Brandenburg Orchestra, will tackle Messiah for the first time in February, giving audiences in Melbourne and Sydney the opportunity to hear this music as Handel intended. And surely, there is some poetic justice in finding the truth of this magnificent music in the uncertainty of a “post-fact” world. Maxim Boon is a composer and arts writer based in Melbourne. 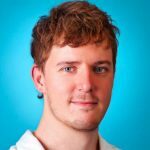 He is the former online editor of Limelight Magazine and has also been published by The Guardian, DNA Magazine and Dumbo Feather. I’m going. I’m so so thrilled to be seeing the Australian Brandenburg playing in Melbourne the ” Messiah “.